The Burmese are originally from the hills of Tibet in western China. Today, they live in Myanmar (formerly Burma) and in the Tanen Mountains and steep river valleys of northwestern Thailand. They speak Bama, a Tibeto-Burmese language. Many of those in Thailand also speak Thai. The Burmese are the political, economic, and religious leaders of Myanmar. It has had a long history of coups, wars, and rebellions. Ethnic divisions and political unrest have been common since the first Burmese kingdom in the eleventh century. Many Burmese fled to Thailand in hopes of finding a more peaceful climate. Unfortunately, Thailand has had its own problems with governmental changes, military coups, and riots. The Burmese refugees placed an added strain on Thailand's economy. Sadly, the Burmese have lived in a constant state of instability, defense, bitterness, and fear. The thickly forested mountains of Thailand provide valuable lumber for the Burmese, while the fertile valleys support intense rice cultivation. Rice cultivation is their main occupation and basic means of economic support; it is grown for both personal consumption and trade. Although the Burmese ideally grow rice in irrigated fields, they also resort to slash and burn cultivation. With this process, the fields are cut and burned before any new crops are planted. To help in the fields, cattle and buffalo are raised to draw heavy wooden plows. It is a daily task for a whole Burmese family to go out into the fields to work. Mothers work with their babies, while the older children accompany their grandparents. Various types of houses can be found in the Burmese villages. The wealthier people often live in sturdy, mahogany homes that are raised off the ground and have plank floors and tile roofs. Those with lower incomes may live in thatched roof, bamboo houses that have dirt floors. All activities take place on the dirt floors, including eating and sleeping. Therefore, it is extremely impolite to enter a Burmese house wearing shoes. The single most important social institution in the village is the temple. It symbolizes unity among the villagers, and provides a wide variety of activities for the people. 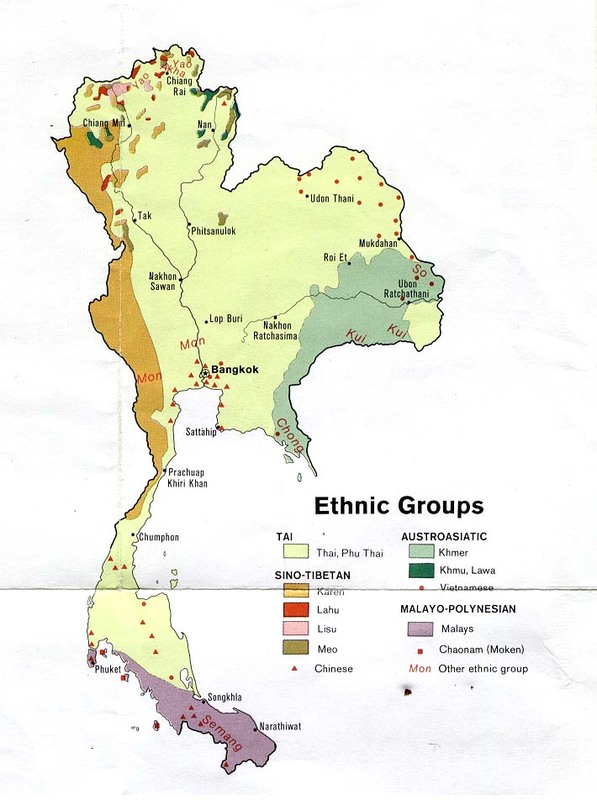 The Burmese do not recognize clans or lineages. Marriages are monogamous, and rarely arranged by the parents. Young couples generally live with the brides' parents for the first few years after they are married. They will set up their own homes after two or three years. The Burmese are predominantly Hinayana Buddhists. The traditional goal in Buddhism is to seek the middle path to Nirvana, or ultimate peace. The Burmese have mixed these Buddhist beliefs with their own animistic beliefs (belief that non-living objects have spirits). Their animistic beliefs center around inherently evil spirits called nats. The Burmese spend their lives trying to appease the nats so that they will be protected from any other evil spirits that may seek to harm them. All Burmese homes have altars for the spirits, as well as a statue of Buddha. According to their Buddhist faith, the Burmese believe that death is not a threat to one who has done good deeds. Instead, death is simply a "passing" from one life to another. Buddhists believe that those with less merit are reborn as demons, ghosts, animals, or inhabitants of hell. The Burmese left their homeland, Myanmar, in search of peace. Unfortunately, the peace they desired has not been found in Thailand. They are in need of loving Christians who will introduce them to the Prince of Peace, Jesus Christ. Very few of the Burmese community have come to Christ. Fervent prayer and effective evangelism are the keys to seeing them reached with the Gospel. * Scripture Prayers for the Burmese in Thailand. * Ask the Lord to call people who are willing to go to Thailand and share the love of Christ with the Burmese. * Ask God to use the few Burmese believers to share the Gospel with their own people. * Ask God to raise prayer teams who will faithfully intercede for these precious people. * Ask the Holy Spirit to soften the hearts of the Burmese towards Christians so that they will be receptive to the Gospel. * Pray that strong local churches will be raised up among the Burmese of Thailand.